This past Saturday, the BFS participated in the Great Backyard Bird Count (GBBC), an annual four-day event jointly organized by the Cornell Lab of Ornithology, the Audubon Society, and Bird Studies Canada that engages bird watchers world-wide in counting birds to create a real-time snapshot of where the birds are. The BFS birds were counted by Prof. Cathy McFadden (HMC Biology) and Paul Clarke (CUC), who have been carrying out monthly bird surveys at the BFS for over ten years. 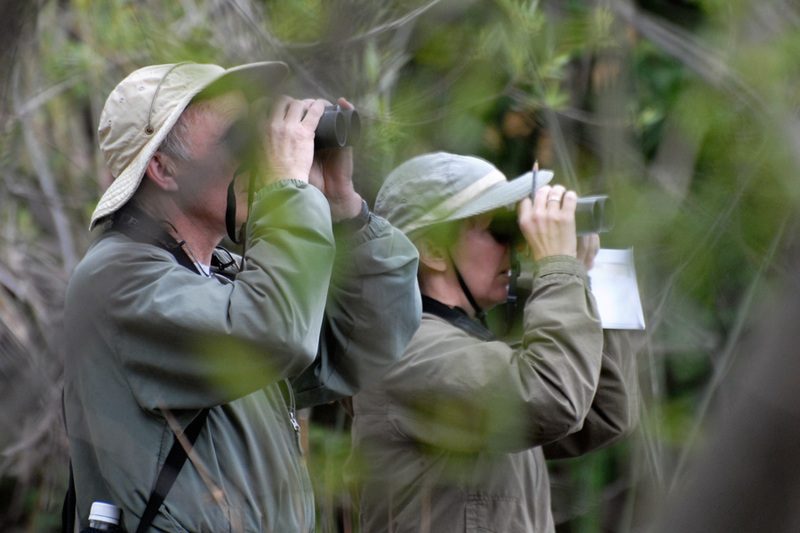 Paul Clarke and Cathy McFadden counting birds at pHake Lake, April 2010. ©Nancy Hamlett. They counted a total of 538 birds of 47 different species. The most abundant birds were Bushtits (83), and the most unusual was a Western Tanager, a species that is rare in Southern California in the winter. pHake Lake was bustling with 9 Mallards, 4 American Coots, 2 Buffleheads, 2 Ruddy Ducks, a	Ring-necked Duck, and a Pied-billed Grebe. 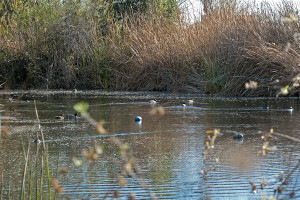 pHake Lake on Saturday. 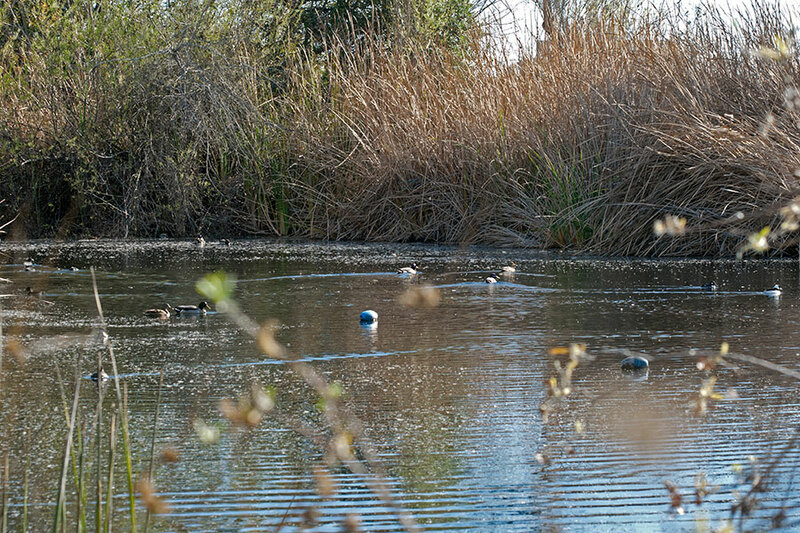 You’d need your binoculars to see them all, but there are 9 Mallards, 4 American Coots, 2 Buffleheads, a Ruddy Duck, and a Ring-Necked Duck in this photo. ©Nancy Hamlett. You can see the complete BFS count for Saturday here. 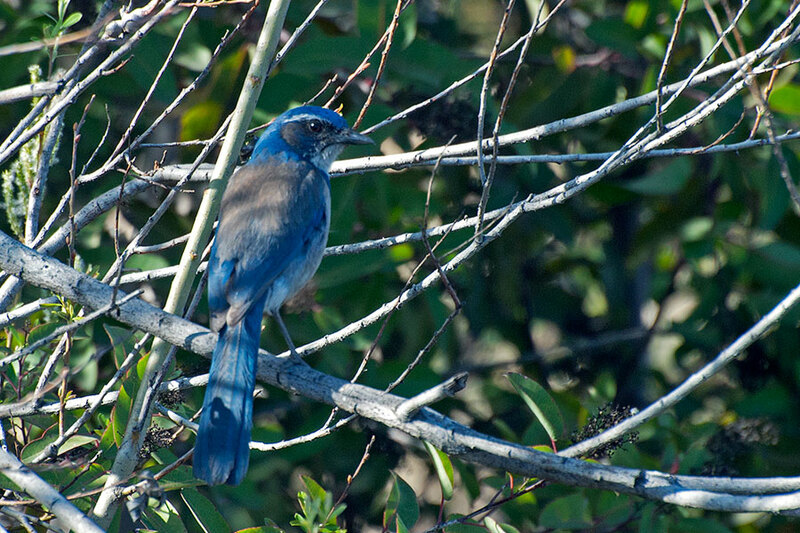 A Western Scrub Jay at the south shore of pHake Lake on Saturday. ©Nancy Hamlett. Scientists use data from the GBBC, along with observations from other citizen-science projects, to get the “big picture” about what is happening to bird populations. 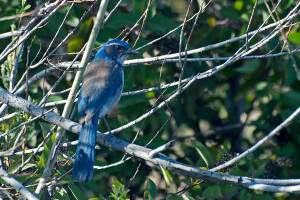 The GBBC has been held every year since 1998, and the longer these data are collected, the more meaningful they become in helping scientists investigate questions like how weather affects bird populations, how the timing of bird migrations varies from year to year, how bird diseases affect birds in different regions, and how bird diversity differs in different habitats.